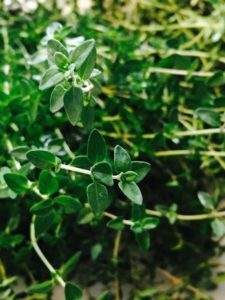 Herbs are probably one of the easiest types of plants to grow. Sure, you have your princesses in the group but, for the most part, they require very little maintenance once planted. Fresh from the garden! 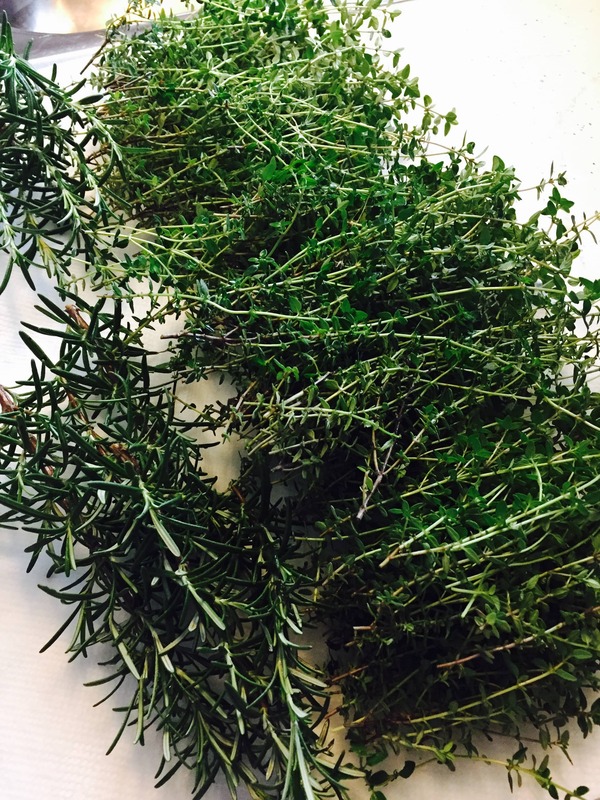 Enough thyme and rosemary to last the winter! Check out this bounty!! This is only what I’ll use this winter but I could double the amount if I pulled everthing out of my garden. If I were to buy this amount in the grocery store this winter, it would run me anywhere from $30.00 to $40.00! Not me. This cheap frugal girl bought one rosemary plant and 1 thyme plant for $7.00. Yep, that’s right. $7.00 to get me through the winter enjoying far tastier soups, stews, and roasts. 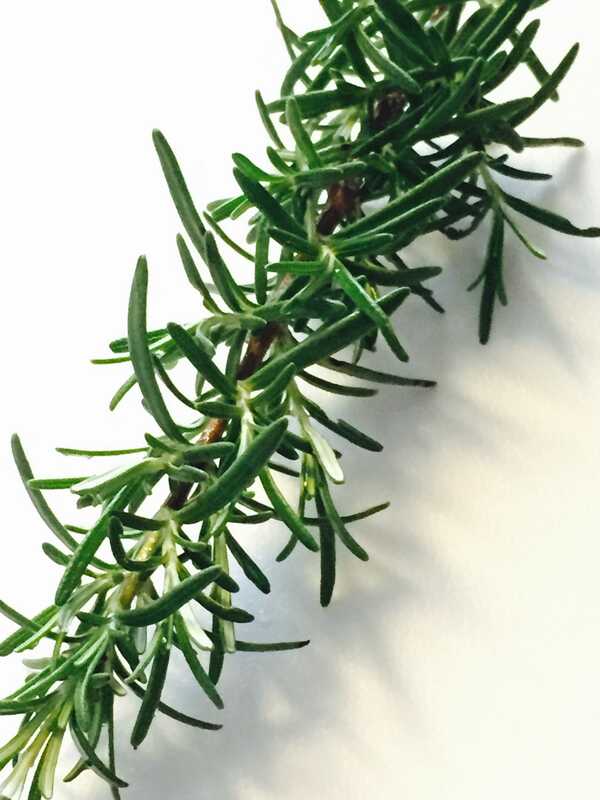 Using rosemary from your freezer brings freshness to your winter dishes. 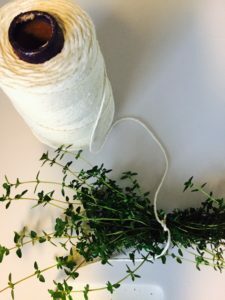 I grow the herbs I use the most like thyme, rosemary, chives, and sage. Although I risk them not overwintering as well as they do in the ground – I grow my herbs in pots. I have a dog. I used to have my herbs in the ground. 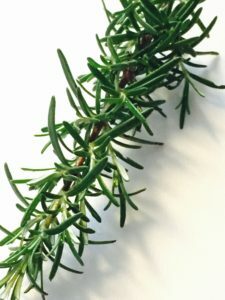 I used to pull dog fur out of thyme and rosemary stems for hours. I became (a bit) smarter in my old age. I now use tall pots. 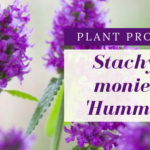 Save money all winter by planting herbs in the spring! 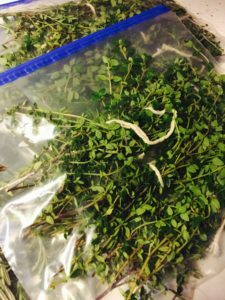 Although there are a ton of methods online for storing herbs for winter, I tend to choose different freezing methods over drying. The taste is sooo much better. Preparing bundles of thyme for winter storage. I’ll freeze stem and all on the herbs that have fine foliage or woody stems. Thyme, rosemary, and sage all work great stored this way. Trim off the amount of herbs you think you’ll use in the winter. Spread out on cookie sheet and freeze. If I’m focused and well prepared, I will bundle my thyme in the portions I use for my recipes. The tiny leaves of thyme like to fall off when brittle and, well, basically it’s just easier this way. Store in freezer bags and use as needed! When herbs are stored this way, they do lose their brilliant color – not a problem for many winter dishes. But, you may have to (I gasp!) go get some from the grocery store if you need them to look pretty in your dish. 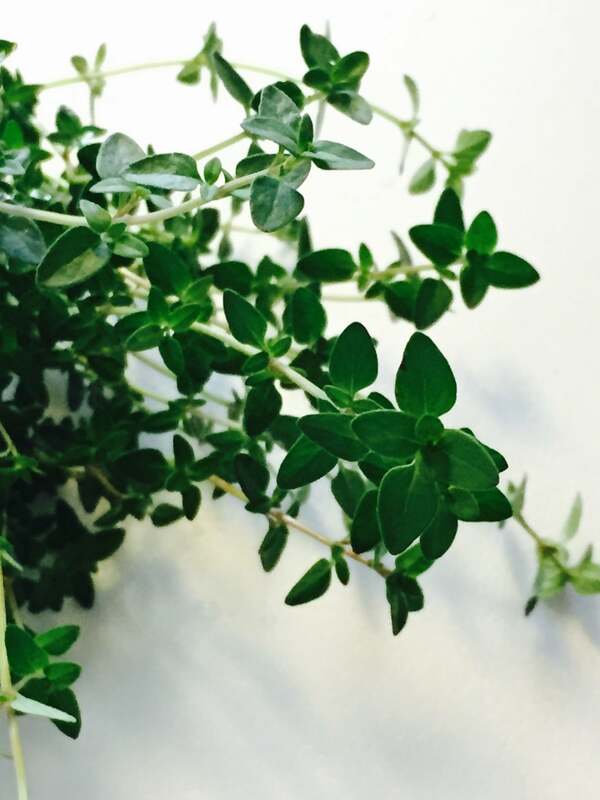 Freezing whole works well for woody herbs but what happens to soft herbs like basil and mint? Let’s avoid mush at all cost, shall we? Dice, mince, food process – whatever form you’d like them to be. Pack them into ice cube trays. Add water, citrus, or oil. Basil – freeze with oil and add to pasta sauces or make pesto. Cilantro – freeze with lime juice and add to salsa. Mint – freeze with water and add to tea or other beverages. Parsley – freeze with oil or water and add to soups. 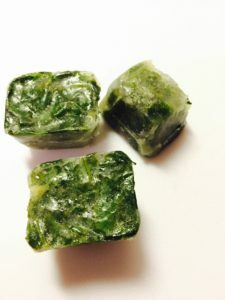 Cilantro and lime ice cubes are great added to the food processor when making salsa. Another way to enjoy the fresh herb taste year round is to make compound butters. Whip unsalted butter by hand or with a mixer. Form a log and wrap in parchment paper. Store in refigerator or freeze. That being said, I do have lazy moments and typically only use sage for Thanksgiving so I seldom store it for winter. Instead, I go out to my herb garden bright and early Thanksgiving morning and pull off the leaves I need for my meal! Use sage leaves directly out of your garden until a hard frost. So, instead of spending a small fortune at the grocery store in the winter, invest a bit more in the spring at your local garden center. You’ll come home with a product that you can use all year long! !